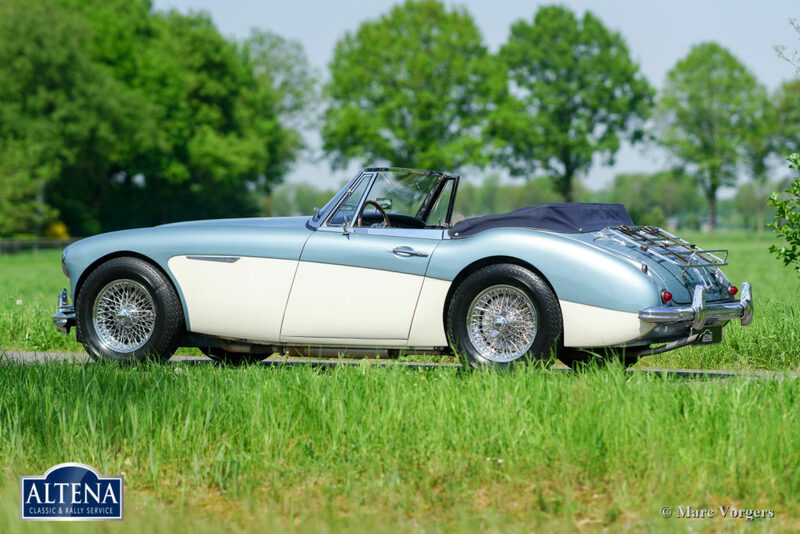 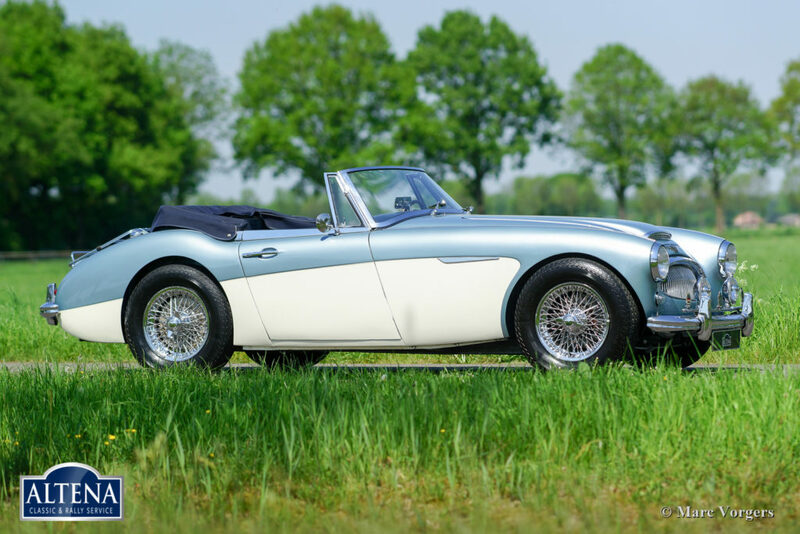 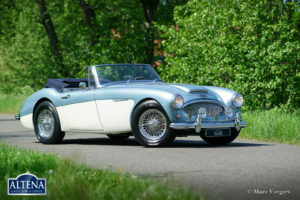 Austin Healey 3000 Mk IIa, year 1963. Chassis number HBJ7L/2490X, engine number 29F-RU-H/581X. 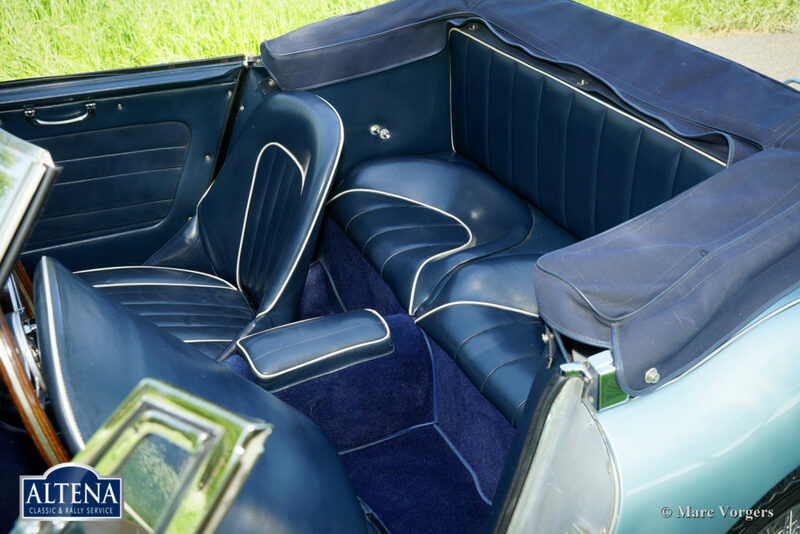 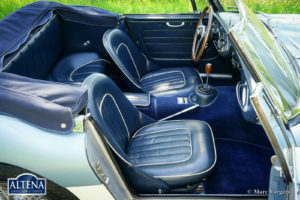 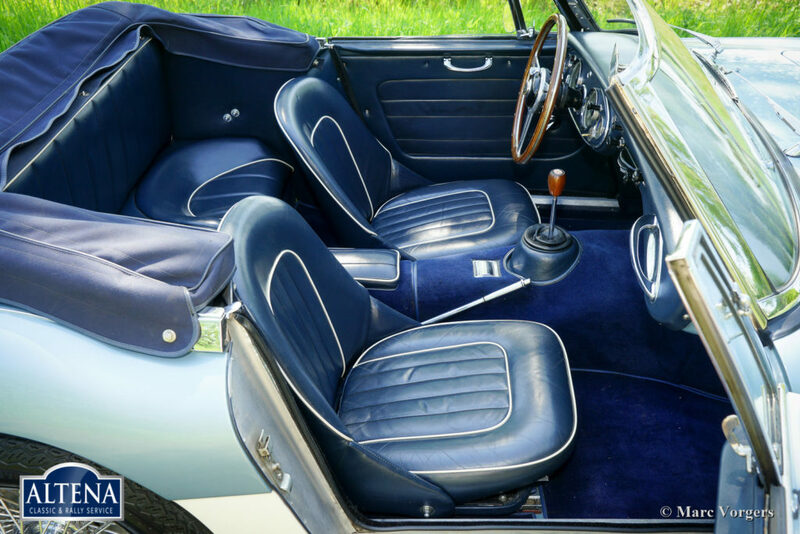 Colour Ice Blue over crème white combined with a dark blue leather interior (trimmed with white piping) and dark blue carpet. Dark blue soft-top and hood-cover. 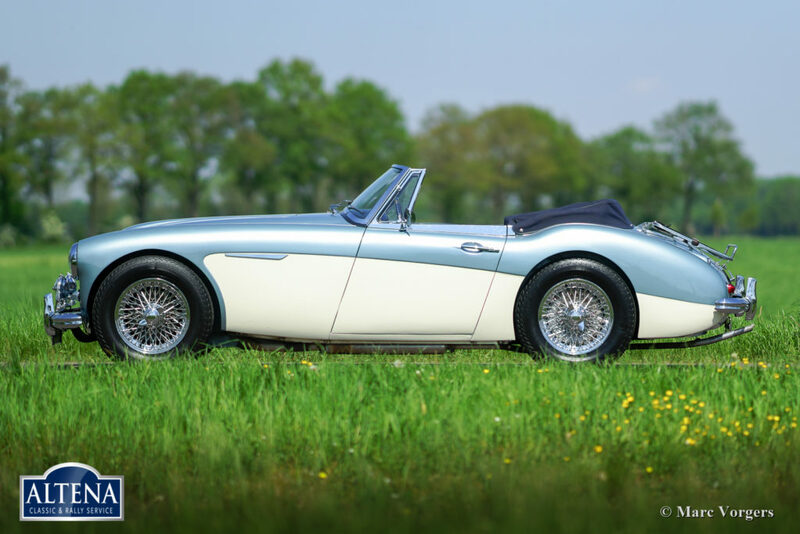 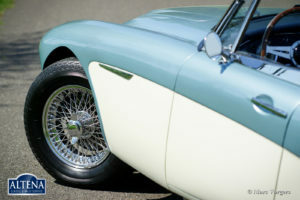 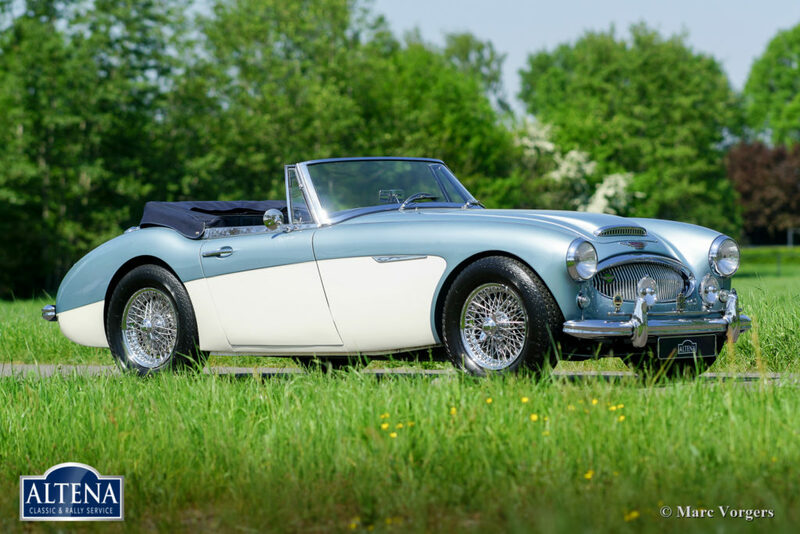 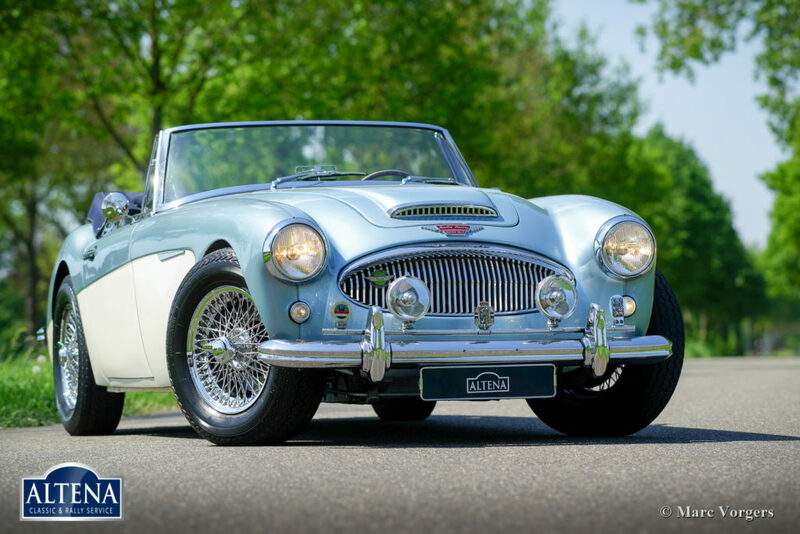 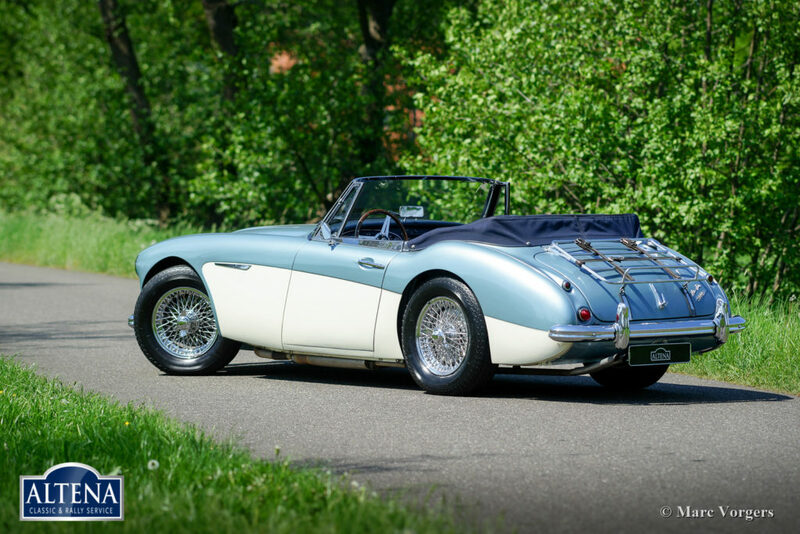 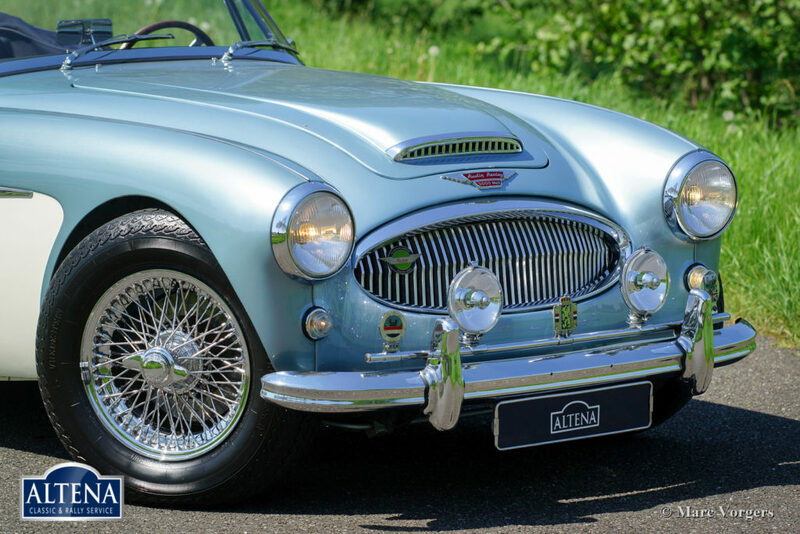 This fantastic Austin Healey was sold new to the USA. 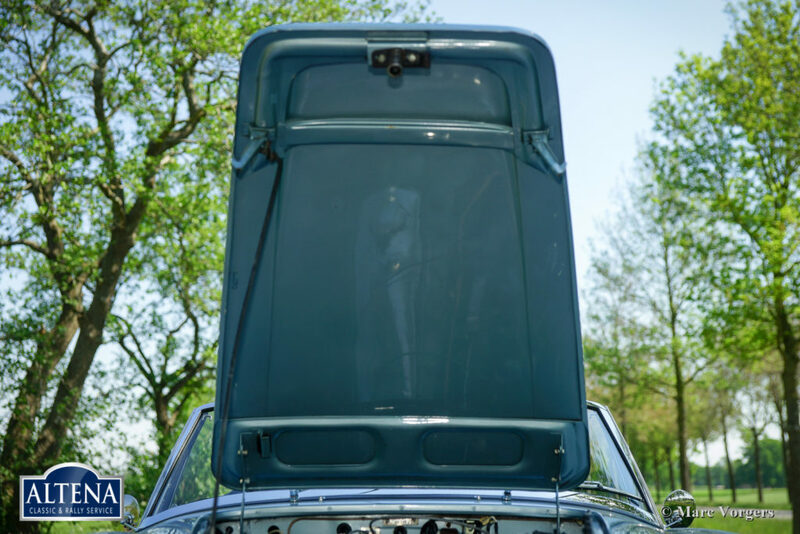 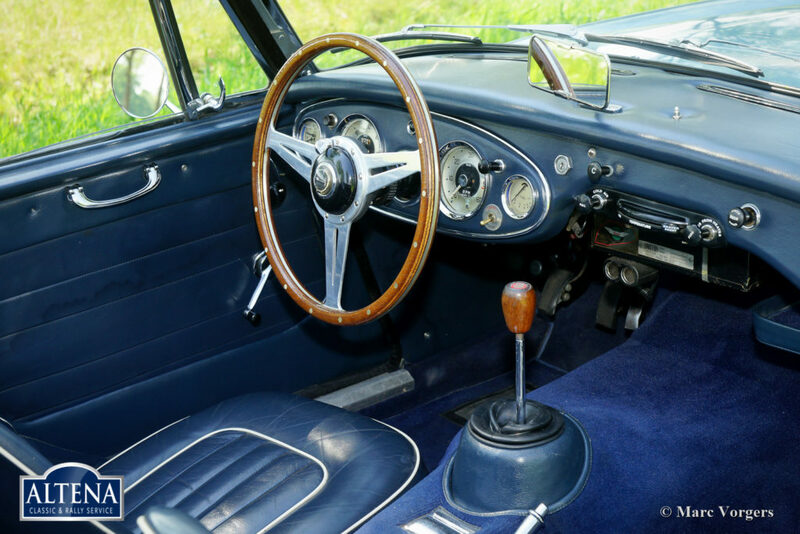 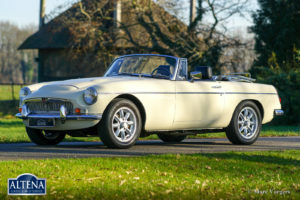 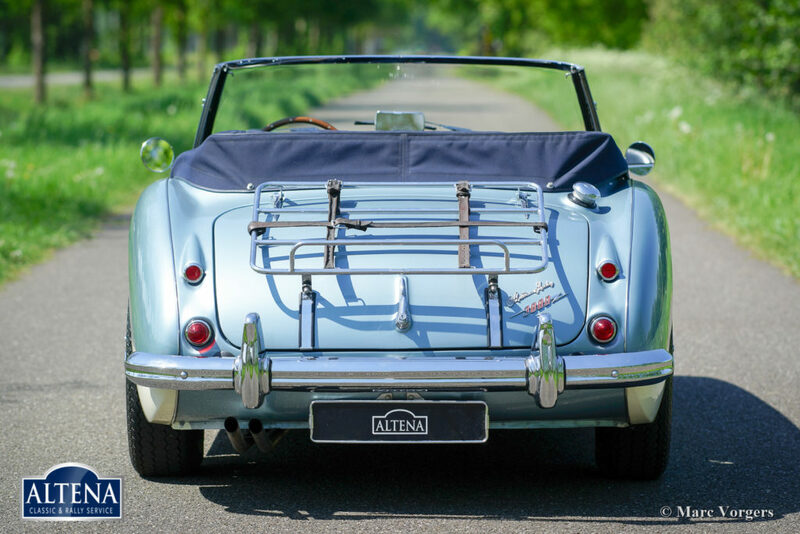 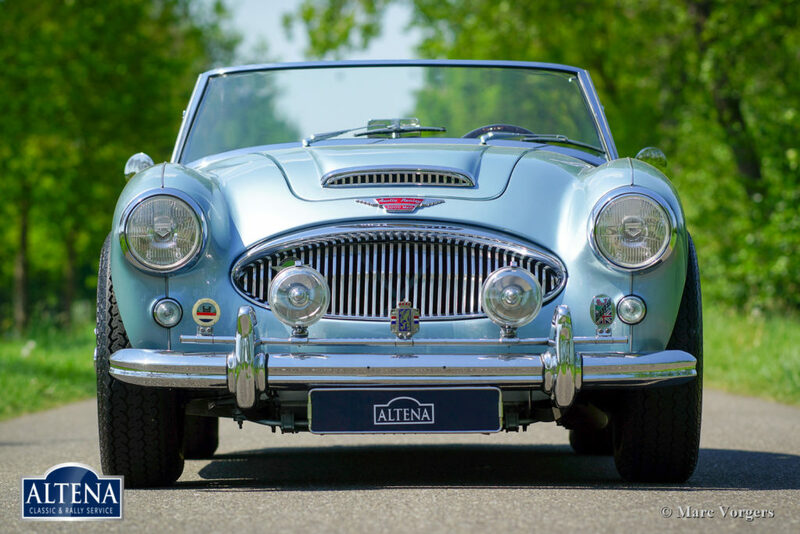 In the Netherlands the automobile was extensively restored and overhauled by Altena Classic Service in the year 2005. 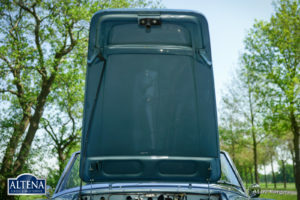 The engine was overhauled by the renowned firm of van Giersbergen. 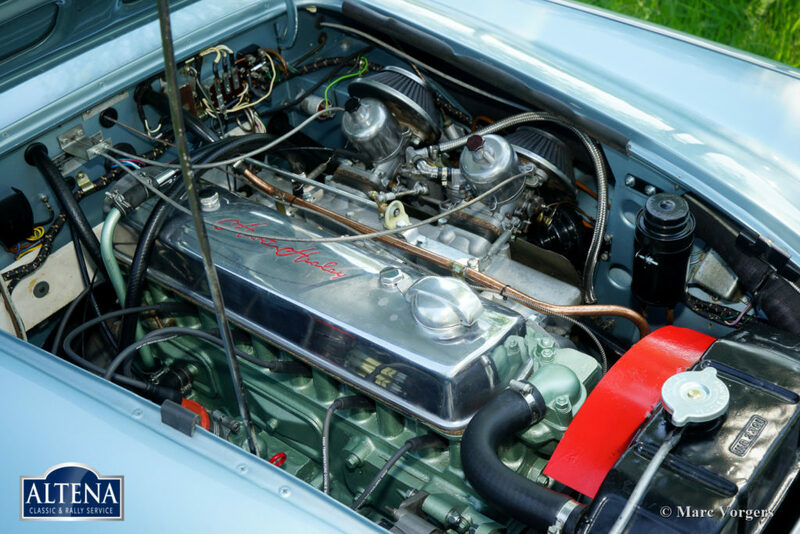 The gearbox and the overdrive were overhauled by van Munching. A photo report and invoices of the restoration are present as are service invoices. This beautiful ‘Big Healey’ is in superb condition and the car drives delightfully. 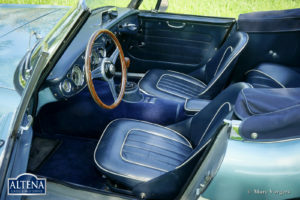 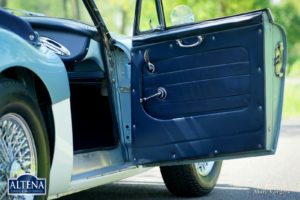 During the restoration the car was fitted with power brakes, AC dynamo, special starter-motor, electronic ignition. 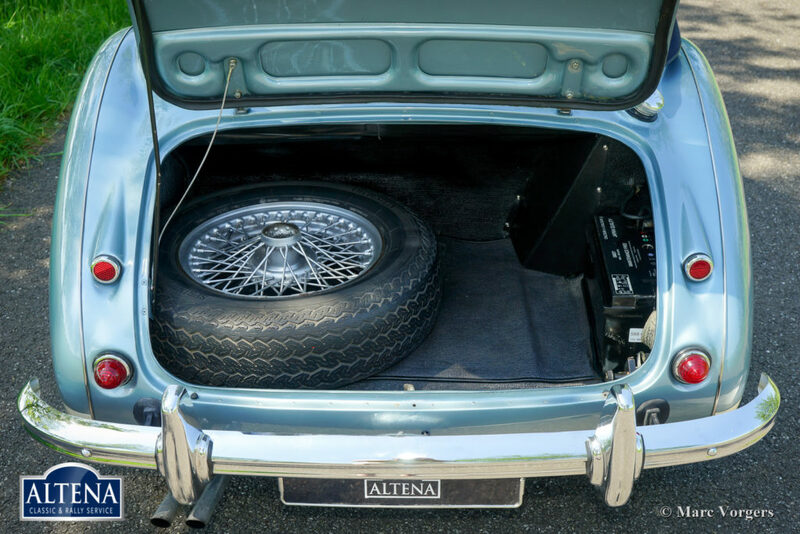 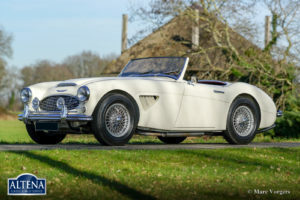 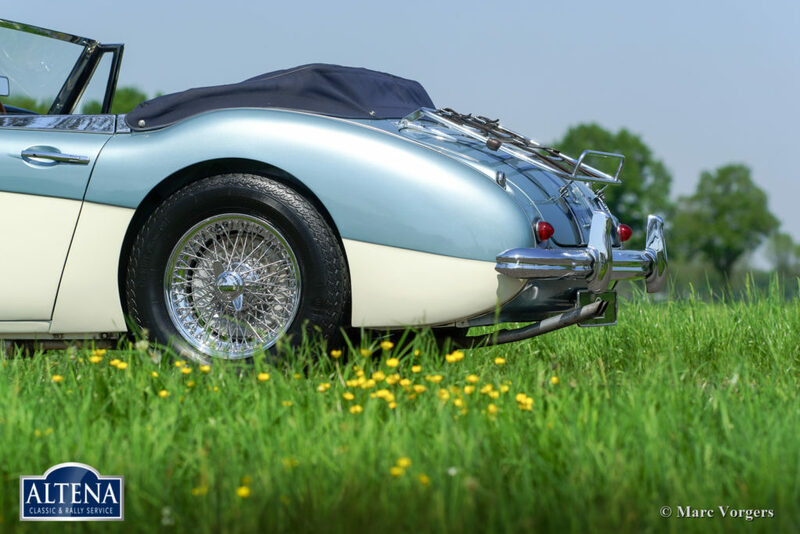 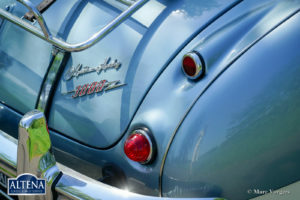 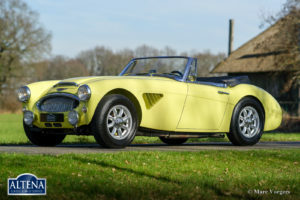 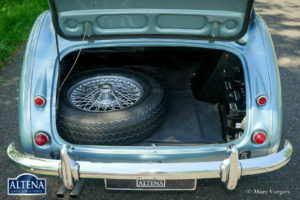 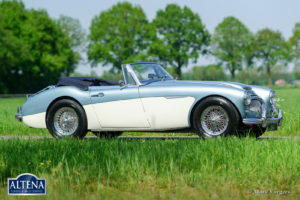 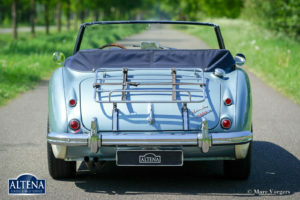 Furthermore, this Healey features an aluminium rocker cover, aluminium sump, chrome wire wheels, overdrive, a chrome luggage rack and a chrome badge bar with additional spot-lamps and badges. after the restauration in 2005 the car has won a FOCWA price for best restoration on the InterClassics show in Maastricht.